FOLLOW US ON FACEBOOK, TWITTER, & GOOGLE PLUS! WHAT IS IOH AND WHAT DO WE DO? Instruments of Healing is a 501(c)(3) nonprofit organization, with a mission of using music to educate, motivate, and inspire our peers in their recovery from mental health and addiction challenges. 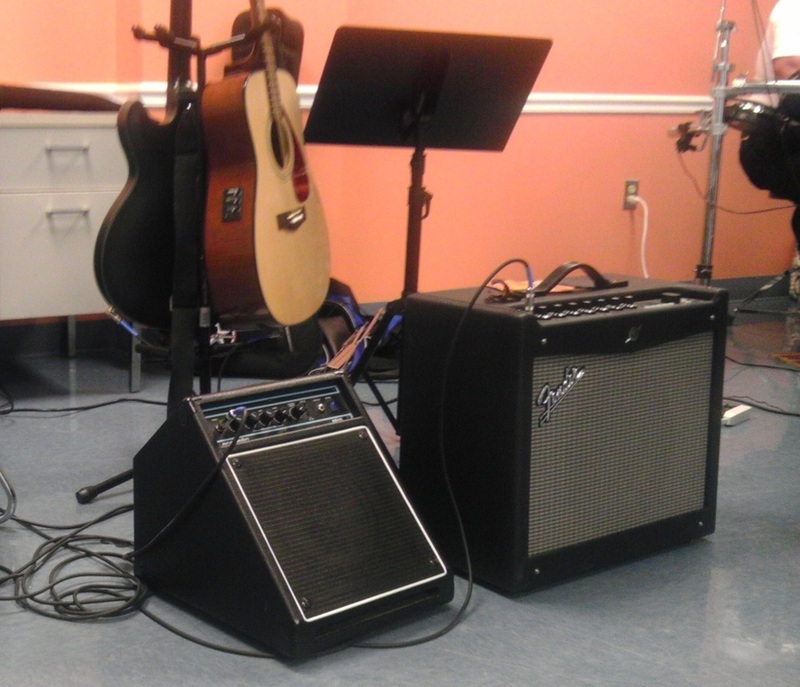 Our programs include education/discussion about using music in recovery, instrumental experimentation, group jamming, solo singing, and sing-alongs. 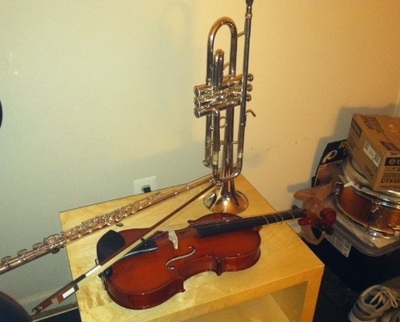 This unique mobile peer-run, peer-based organization brings a range of professional-grade musical instruments for our program participants to play during the many programs we give throughout Maryland, Washington DC, Virginia, and beyond. During the programs, our participants lend each other a unique form of musical peer support that is non-judgmental, encouraging, and supportive. As peers teach each other, share their skills and talents, listen attentively to each other perform, and bond together over music, confidence and self-esteem is fostered during the IoH music-making experience. IoH programs have something to offer everyone - from the participant who has had no musical experience, to the participant who might once have been a professional musician. IoH is founded on the belief that music can and does heal. The facilitators are peers/musicians who have felt this in their own lives, and are skilled at helping others explore their personal musical worlds. During programs, participants pick songs that are meaningful to them. Each IoH program is a unique experience and no two programs are alike. 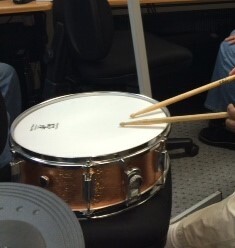 Throughout the programs, the participant go on journeys of recovery as they make music. Participants in IoH programs commonly find phenomenal transformations within themselves, as they become immersed in the music-making process. Most leave with huge smiles on their faces and elated moods. Many go on to further pursue and expand on the skills that they established at the programs they attend, using music as a tool for personal wellness. WHAT INSTRUMENTS DOES IOH HAVE? IoH Co-founders Andy Goldenson and Sabrina Schram have acquired the highest quality instruments possible for their participants. * People Encouraging People, Inc.
IoH has also established affiliations and discounts with other music stores in the DC Metropolitan area. * IoH has been endorsed by the MusiCares Foundation (part of GRAMMY) and by Ken Caillat, producer of Fleetwood Mac and pop sensation Colbie Caillat. * In February 2013, IoH (at that time known as Musical Minds) was awarded by On Our Own of Prince George's County, Inc.
* IoH is currently working with staff at the University of Maryland to establish an evidence base for using their unique form of musical peer support during programs as a tool for wellness and healing in recovery. * Our IoH documentary (which can be seen here on our Home page) was featured at the Artomatic Festival in Frederick, MD during the month of September 2013. * IoH gave a presentation entitled "Music as an Aid to Recovery" for staff of the Substance Abuse and Mental Health Service Administration (SAMHSA) of the federal government on November 19, 2013. * IoH presented workshops two years in a row at both the 2014 & 2015 annual On Our Own of Maryland Conference. ​* On July 19th, 2014 IoH headlined the closing ceremonies for the Rockstar Youth Track of the 2014 Georgetown University Training Institutes, held at the Gaylord Hotel & Convention Center at National Harbor. Please see our Blog for more details. * IoH presented programs at 2 psychiatric hospitals during the summer of 2014 - St. Elizabeth's in Washington D.C. (6/12) and Eastern Shore Hospital Center in Cambridge, MD (7/26). The hospitals are both government-run (i.e. a "state" hospital, or the equivalent). Please see our Blog for more details. IoH returned to ESHC for a second year on 6/1/15. * IoH officially became a 501(c)(3) nonprofit organization on July 18th of 2014. Dec 31st, 2014 - and met their fundraising goal. Please see our Blog for more details. IoH exceeded their goal during the second annual Online Silent Auction & Donation Campaign, held throughout December of 2015. * Andy Goldenson, CEO, made keynote speeches at both the Family Services, Inc. Awards Luncheon and the On Our Own of Montgomery County, Inc. Annual Meeting in May and June, 2015. * IoH was awarded by On Our Own of Prince George's County, Inc., for a second time, at a joint event held on June 20th, 2015 - for the support and hope we bring to the behavioral health community. * IoH played and performed during a reception for Mary Ellen Copeland, founder of the WELLNESS RECOVERY ACTION PLAN® (WRAP), at the WRAP Around the World Conference - held on August 25, 2015 on the panoramic top floor of DC's Hyatt Regency Hotel. * Andy Goldenson, CEO and Sabrina Schram, COO were awarded Business Owners of the Year (2015) by the employment organization Maryland Works. The awards reception was held on November 12, 2015. * IoH gave a workshop at the Virginia Psychiatric Rehabilitation Association (VAPRA)'s annual conference on December 2, 2015. * IoH received the "Howie the Harp Arts Award" on August 20, 2017 at the internationally attended Alternatives Conference held in Boston. This award is given to people and organizations which show leadership in both the arts and in the behavioral health consumer movement. IoH is a mobile program, traveling to share our love of music and to bring musical healing to those who can most benefit. Please feel free to contact us for more information, to attend or book a program in your area, or to make a donation. As IoH continues to grow and expand rapidly, we are exploring more diverse sources of funding. IoH looks forward to helping many more to heal through music in the future. Get our monthly newsletter, find out about IoH events, hear the latest about IoH, and get tips on how music can help you!